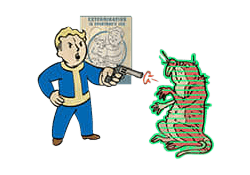 Awareness is a Perk in Fallout 4. It is associated with the Perception Stat. Rank 1: View the level and damage resistances of your currently highlighted enemy when using V.A.T.S.